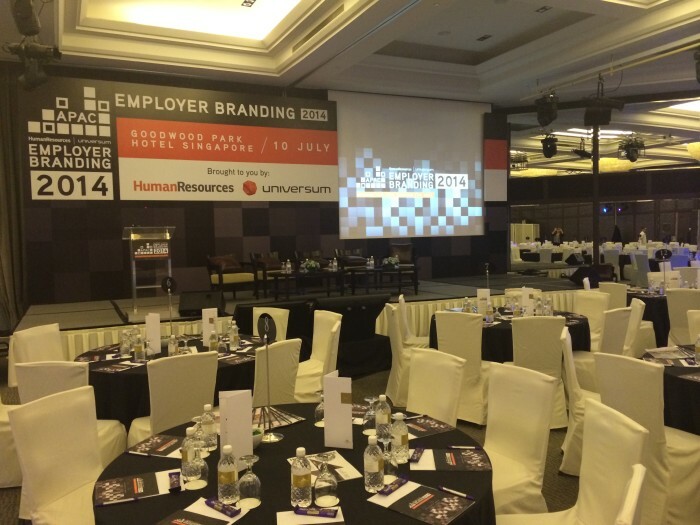 Catch all the updates from Employer Branding APAC 2014, a special one-day conference produced by Human Resources and Universum, focused on helping HR leaders to create and maintain a strong employer brand to boost talent attraction and retention. 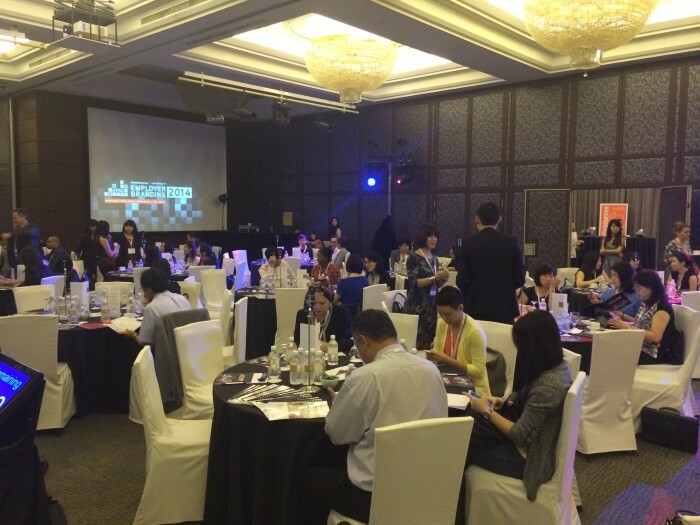 We’re getting started for the day as the conference room gets prepped and ready for our delegates to arrive at Goodwood Park Hotel in Singapore. The room is starting to fill up and there’s a great buzz in the air. Everyone’s excited to get down to business! 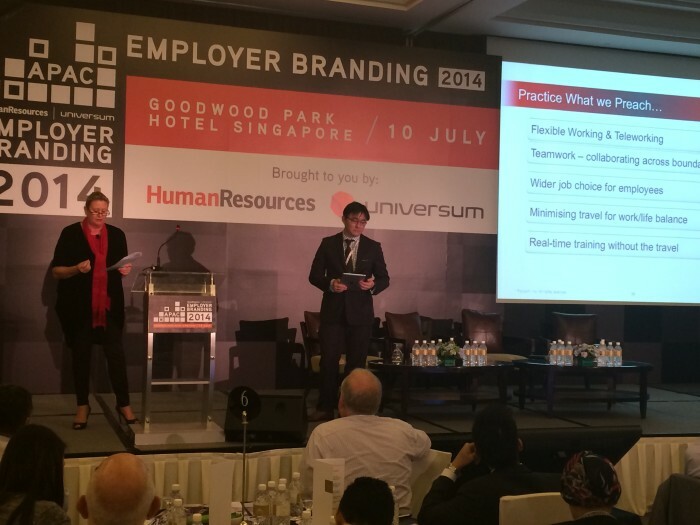 Human Resources‘ editor, Rebecca Lewis, and Universum’s managing director of Asia Pacific, Joakim Strom, open Employer Branding APAC 2014. The day jumps right into it with a panel discussion on the importance of employer branding and its position in today’s competitive talent market. 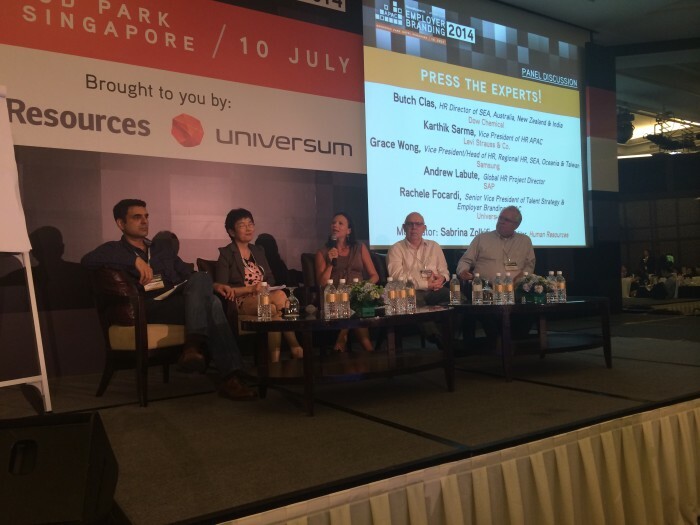 The panel features Oliver Grohmann, senior VP of HR at Daimler South East Asia, Atul Khosla, VP of HR APAC at Mondelez International, Sue Olivier, chief talent officer at Ogilvy & Mather Asia Pacific, and Winnie Chik, head of talent acquisition ASEAN Pacific at Siemens. 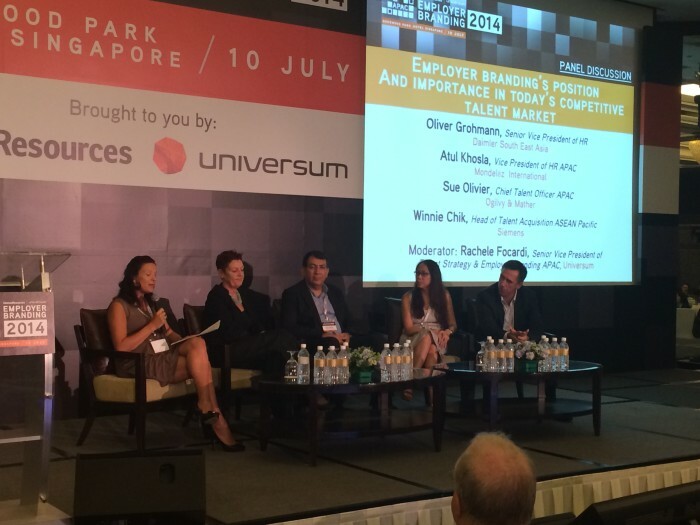 The panel was moderated by Rachele Focardi, senior vice president of talent strategy & employer branding for Universum APAC. 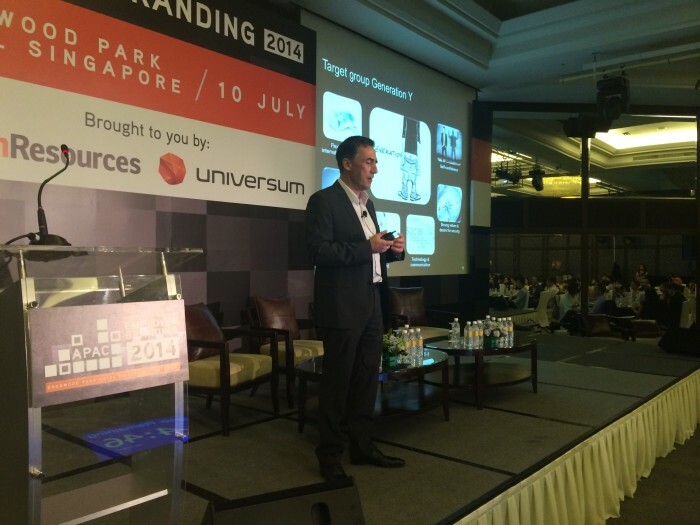 Focardi then gave a presentation about truly understanding employer branding in the Asia Pacific region, and why being different is a must to get ahead of the competition. After a quick coffee break, Oliver Grohmann comes back on stage to discuss how to really kick off an employer branding strategy: Know your target audience, know their experience, understand what really matters and be committed to spend on “optionals”. Next, Marielle Reussink, Universum’s digital lead for SEA, moderates a panel with Butch Clas, HR director of SEA, Australia, New Zealand & India at Dow Chemical, Ng Ying Yuan, director of HR at Economic Development Board and Matt Kaiser, employer branding & digital strategy global talent acquisition manager at Ericsson. 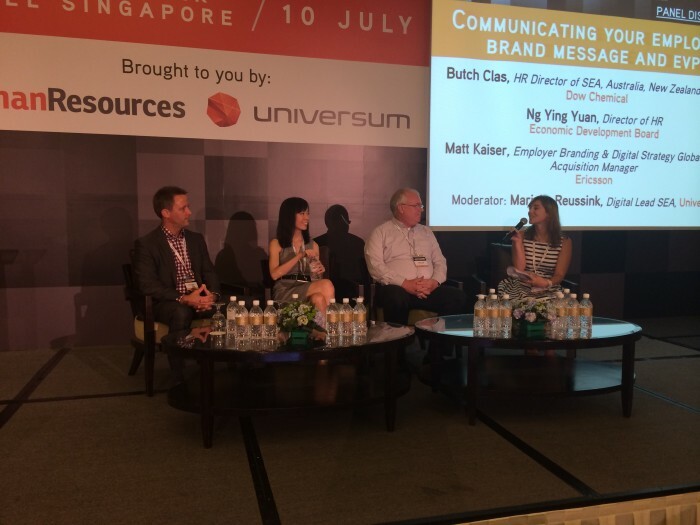 They spoke about how you can better communicate your employer brand message and EVP. 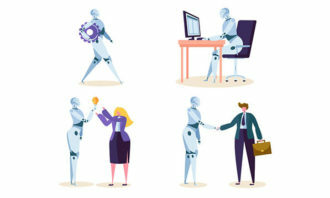 HR & marketing – they’re better together. 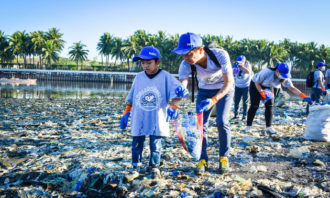 That was the message from Polycom’s senior director of marketing APJ, Sue Day, and head of talent acquisition & development AJP & China, Eric Wong, who spoke together. 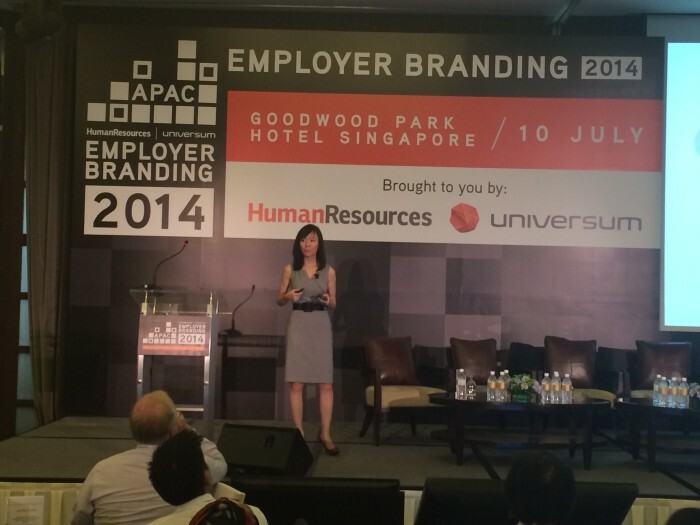 After lunch, Ng Ying Yuan, director of HR at Economic Development Board attacks the very important question of how you can connect your employer branding message to the candidate. 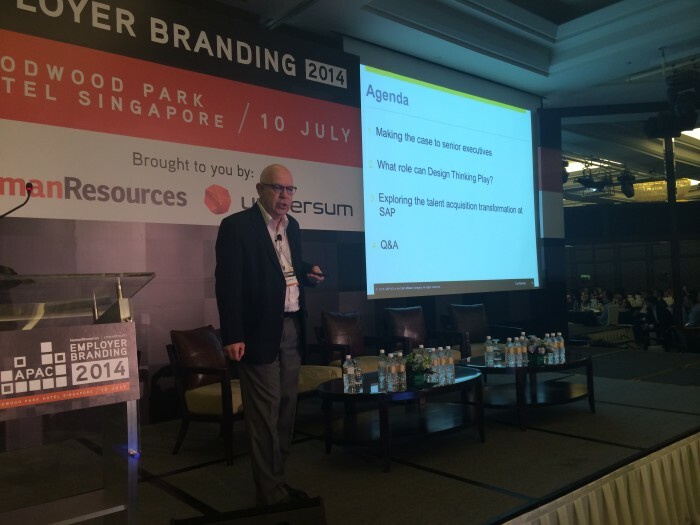 In other words, what does your employer brand actually say about you to the candidate? 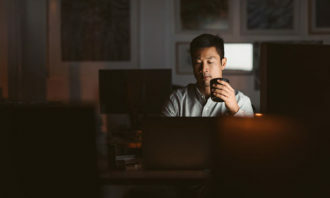 Andrew Labute, global HR project director at SAP, speak about making the business case for employer branding and SAP’s own branding and talent acquisition transformation journey. A regionally diverse panel made up of Yukiko Hizumi, vice president, regional lead of global market campus recruitment & Tokyo campus recruitment team lead, global human resources at Barclays, Eric Wong, head of talent acquisition and development APJ & China at Polycom, Grace Wong, vice president/head of HR, regional HR, SEA, Oceania & Taiwan at Samsung, and Kit Foong, employer branding advisor SEA & Australia/country manager at Universum, discusses the issues involved in branding across borders. 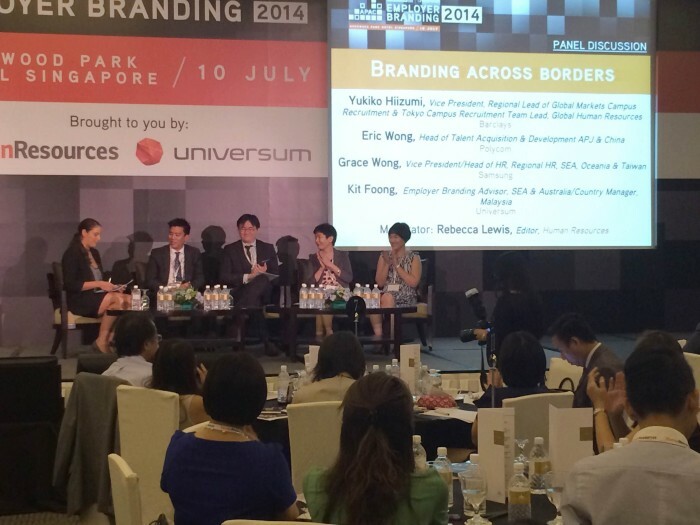 Following this, editor Rebecca Lewis moderated a panel on branding across borders, and how HR can work with various functions of the business to clearly communicate and customise branding messages for a localised market. 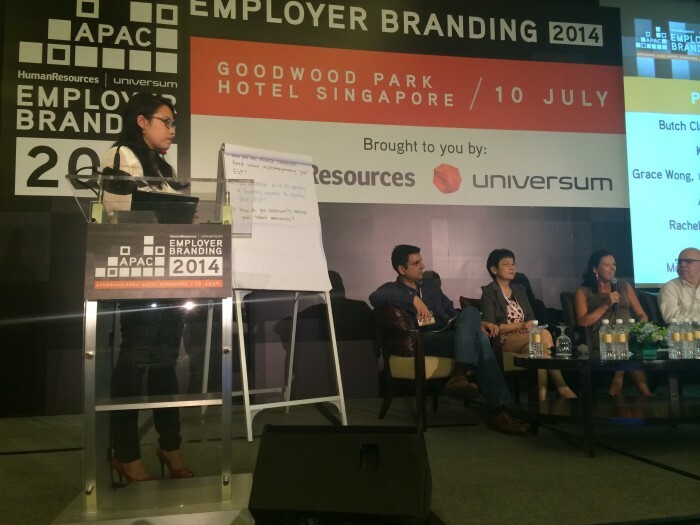 This panel consisted of Eric Wong of Polycom, Grace Wong, VP/head of HR SEA, Oceania and Taiwan for Samsung, Kit Foong, employer branding advisor for SEA & Australia/country manager Malaysia at Universum and Yukiko Hiizumi, VP, regional lead of global markets campus recruitment, global HR, at Barclays. 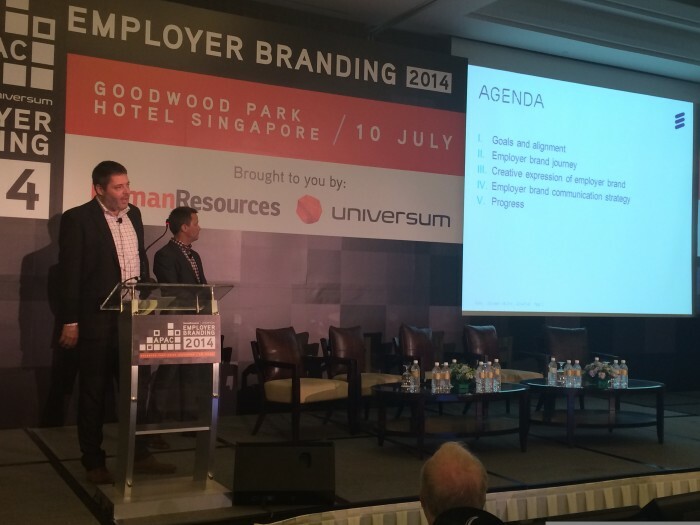 Ericsson’s Dave Ansell, regional head of talent acquisition South Asia & Oceania, and Matt Kaiser, employer branding & digital strategy global talent acquisition manager, speak on stage together about Ericsson’s own employer branding story. The final panel of the day gathered questions from every table to “press the experts” on their burning employer branding questions. The panel included: Butch Clas, HR director of SEA, Australia, New Zealand & India, Dow Chemical, Karthik Sarma, vice president of HR APAC, Levi Strauss & Co., Grace Wong, vice president / head of HR, regional HR, SEA, Oceania & Taiwan, Samsung, Andrew Labute, global HR project director, SAP and Rachele Focardi, senior vice president of talent strategy & employer branding APAC, Universum. 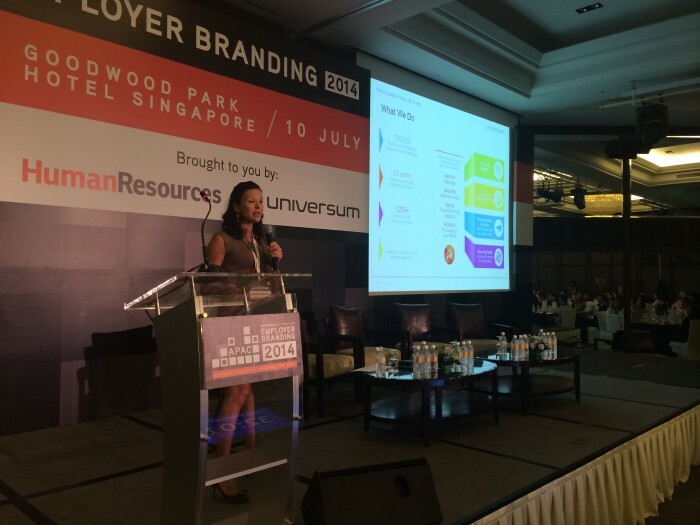 Rachele and Joakim from Universum wrap up the day by giving us a sneak peek into their latest APAC research on the top 10 most attractive employer rankings. We’ll have the full information for you soon! That marks the end of our conference! 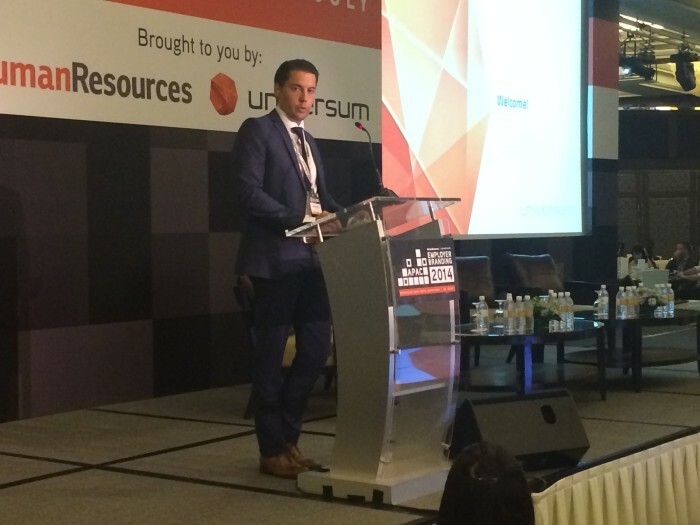 Thank you to Universum for partnering, and to everyone who came along for this all-important and insightful event. We look forward to seeing you next time. 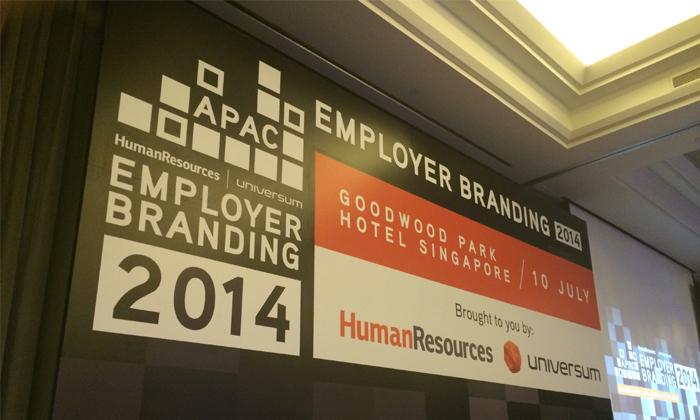 Read more about Employer Branding APAC 2014 here. 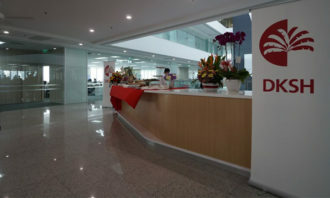 The telco is setting aside a one-off restructuring cost of about S$25 million which includes outplacement, training and coaching s..